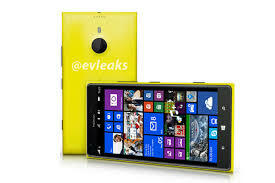 This tutorial will teach you how to hard reset Nokia Lumia 1520 within a few minutes. Once done, all your data on your phone memory including photos, contacts and every single files will be wipe out. So make up your mind before proceeding as the process cannot be reversed. Turn off the Nokia Lumia 1520. Press on the Volume Down button ( do not let go! ) while connecting your device to the charger. You will see an exclamation mark ( ! ) appearing on the screen. Press the Volume Up button, followed by Volume Down button, followed by Power button and finally the Volume Down button again. The device will restart automatically. This will take several minutes. Congratulation! You have hard reseted the Nokia Lumia 1520! Easy isn’t it? If you have any queries regarding any of the steps above, do feel free to comment below the post so that we are able to assist you!